Yeah, this guy got his hop cone and he’s keeping it. In 2017, we were honored to be asked to brew a handful of commemorative brews. Villanova University asked us to brew Demisemiseptcentennial Pale Ale for their 175th anniversary (and we thought we were through with having to type “Demisemiseptcentennial”), and the County of Cape May asked us to help them ring in their 325th year with a commemorative brew, Follow the Gull. Both turned out excellently; however, one of them turned out so well that it’s truly become a favorite for everyone at the brewery. Because of that, this week, we’re pleased to offer Follow the Gull in 16-ounce tall boys! Beer has been helping people to celebrate for millennia. We’re definitely of the opinion that it’s by far the best of the celebratory beverages — champagne be damned! That’s why when someone we love asks us to help them celebrate a milestone by brewing a beer, we’re happy to give it the consideration it deserves. But when Cape May County asked us to help them celebrate their 325th anniversary, how could we say no? It took us five years to be able to put our Core Value of Being a Good Neighbor into words, but we’d been doing it since we started here. It’s very gratifying that the County recognized that and asked us to help with the celebrating. We sat down to think about all of the great things about Cape May, and we came up with one of the County’s more ubiquitous images: Follow the Gull — named for the signs leading travelers from Cape May to Atlantic City along Ocean Drive, connecting our seven major shore towns. A lot of us at CMBC are Cape May natives, and, if we had the misfortune of being born elsewhere, we’ve got a love for Cape May that simply can’t be attributed to mere geography. But for the natives, this beer is certainly something in which they’ve found quite a bit of pride. And Cape May Brew Co has been at the forefront of that growth for the past five years. 325 years is a long time. Cape May County was created on November 12, 1692, by an Act of the General Assembly of the Province of West New Jersey, along with Burlington, Gloucester, and Salem counties. The original boundary encompassed all of the peninsula of Cape May, as well as parts of present-day Cumberland and Atlantic counties, with the county taking its present form in 1891. It’s really difficult to believe that Cape May County has been around that long. It’s older than America. It’s older than Mop Man! We thought of tying the brew in with local agriculture, but early April, when we needed to start brewing this bad boy, isn’t exactly harvest season. Make it boardwalk-themed? A good idea, but Foreshore Shandy is already snow cone-inspired, and The Bog would be coming out around the same time — both delicious summertime treats. 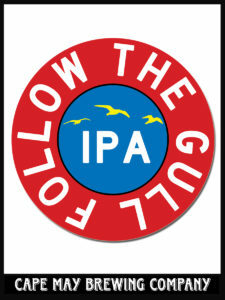 So… Follow the Gull is an IPA with 325 pounds of hops! That’s… that’s a lot of hops. Dealing with that amount of hops presented quite a few challenges for the guys in the brewhouse. Not only does Follow the Gull have 325 pounds of hops to tie into the anniversary, but it has 3,250 pounds of malt, as well. We’re releasing Follow the Gull in conjunction with Cape May Tourism Week. We’ll be hosting an official dedication at the Tasting Room on Friday, May 12th, at 4pm. Officials from the County’s Department of Tourism will be on hand, as well as all of our Freeholders. The County has produced commemorative tiles, crafted by Rowe House Tiles in Cape May Court House, and they’ll have 200 on hand for free distribution at the party. The County has a number of events planned throughout the week to celebrate. Stone Harbor kicks off the week on Saturday, May 6th with their Spring Tide Festival, celebrating the water surrounding the island. That night, Ocean City will be hosting their Spring Block Party, as well. Avalon holds their Wine and Spirits Festival on May 12, and Wildwood’s Spring Classic Car Show runs from the 12th to the 14th. Cape May ends Tourism Week with the 38th Annual Great Cape May Footrace on the 13th. Even without the celebration for the 325th anniversary, this beer is perfect for the season. “It’s eminently sessionable at just 5.5% abv, perfect as we get into the summer season that Cape May is so famous for,” Jimmy says. Sounds like we’ve done something pretty special to help Cape May County celebrate its 325th anniversary. Follow the Gull will be out for distribution on May 11th, so even if you’re more than a gull’s flight from Cape May, you should still be able to find some at your favorite watering hole. 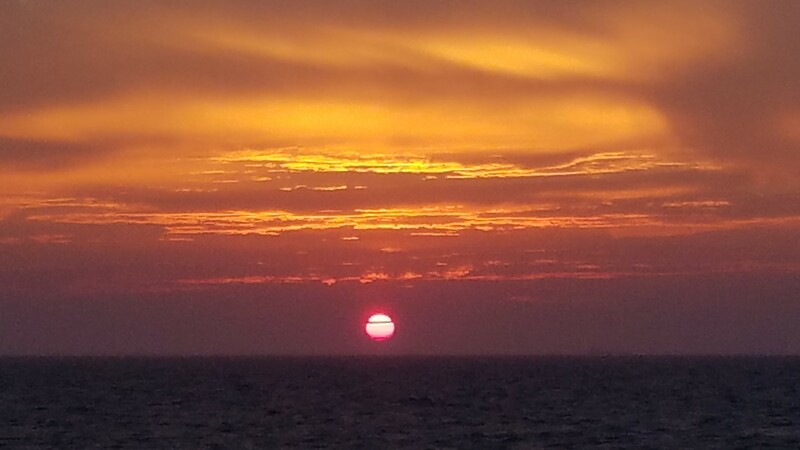 If not, it looks like you’ll have to come down to Cape May and find out why we love it here so much. See you soon!